The Election Commission’s decision not to announce the schedule for the upcoming assembly polls in Gujarat simultaneously with Himachal Pradesh has not gone down well with former chief election commissioners. He further said, “I am quite surprised by the EC’s decision as the Gujarat Assembly also expires around the same time as Himachal Pradesh. Why didn’t they club it?” The term of both the Gujarat and Himachal assemblies come to an end in January 2018. Usually when elections are due within a period of six months, the states are combined and a joint announcement is made. This has been the practice followed so far. The Opposition parties too used the opportunity to attack the government and the EC. Congress alleged that the BJP government appeared to be “putting pressure” on the EC to defer the announcement of elections in Gujarat to “suit” its political ends. The party also alleged that the implementation of the model code of conduct has been deferred to allow PM Modi’s rally. “Reason is that PM is visiting Gujarat on October 16, as false Santa Claus to announce sops and jumlas that he didn’t implement for 22 yrs,” Congress’ chief spokesperson Randeep Singh Surjewala wrote on microblogging website Twitter. The Communist Party of India (Marxist) termed the decision as “strange”. “The CEC has announced that the Gujarat polls will be held before the results of Himachal Pradesh elections are declared on December 18. This is even stranger if Gujarat Assembly elections are to be completed before December 18, then the model code of conduct must be applicable to that state as well,” said the party in a press statement. However, CEC AK Joti refuted these allegations, saying that “the state government had sought more time as it did not want an unusually longer period of the model code of conduct”. Citing an office memorandum by the Ministry of Law and Justice in April 2001, he said, “The model code of conduct should not extend beyond 46 days. In 2012, the model code of conduct for Gujarat and Himachal started from October 3. 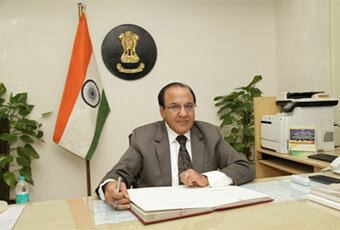 In Himachal the elections were held on December 4, but in Gujarat polls were held in two phases: December 13 and 17. The counting was done on December 20. So, from October 3 to December 24 when the election process concluded, it was 83 days, which is unreasonable. We have to be reasonable to state governments,” Joti said. The Bharatiya Janata Party (BJP) too defended the EC’s decision. “The term of the Assembly in both states are expiring on different dates. Secondly, the winter will set in HP. There will be snowfall. Therefore, it was necessary to hold elections here before Gujarat. With an aim to ensure that voters do not get influenced, polls in Gujarat will be held before the results of Himachal elections,” BJP spokesman Zafar Islam told NewsClick. Asked about the allegation that the EC has taken such decision to let PM Modi announce new packages and schemes in absence of model code of conduct in the poll-bound state to woo voters, he replied, “It is all speculations. No one knows what the prime minister would say during his planned visit to Gujarat. Secondly, if at all that was the intent as alleged, the entire thing could have been preponed. The prime minister is going as per the scheduled plan, which has been prepared long back. It is the Congress which has this kind of mindset and always tries to get undue advantage,” he added.